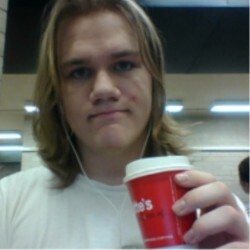 @AU_Jack_1997 is a 22 year old Gay Male from Townsville, Queensland, Australia. He	is looking for Friendship, Chat, Casual, Group Casual and Other Activities. I'm just a student at JCU. However, due to family complications, I had to partially drop out for now. Returning in the next semester. I'm friendly, so say hey if you recognize me. Or we could meet in the library, whatever, I always like having new friends. Jack is just my middle name. Ask about my first if you meet me. I'm in a long distance relationship with a guy in Melbourne, but we're open. I love pretty much everyone, and he knows it. Don't ask about him unless we're friends. Friends, and maybe a little something else. I'm a little picky with who I get in bed with, though, but feel free to ask.